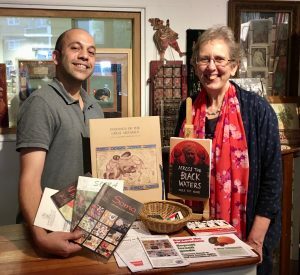 This post was written by Chetan Kumria of Shalimar Books, publishers and distributors of Across the Black Waters, with an introduction by Caroline Goffin. We are excited to share with you the story of our partners, Shalimar Books. Without Anand Kumria and Shalimar we would have had no chance of publishing Across the Black Waters in 2014, especially in the light of the short time-scale after receiving official permission from India. We are very thankful that Shalimar are continuing to support us in distributing the current Centenary Edition. Also, that they are solidly behind us as we work towards publishing the new Illustrated Edition that we trust will become available this coming Spring. My very first encounter with Dominic Rai was in the Spring of 1993 at an Open Evening for his Introductory Course in Spoken Hindi and Urdu through Music and Art. However, before the event had even started I quickly gravitated to an interesting bookstall which Dominic had sourced from Soma Books. I still have the book I purchased that day. Soma, now Shalimar have provided books for us ever since. I am now delighted to share with you the story of Shalimar Books as told by Chetan Kumria. 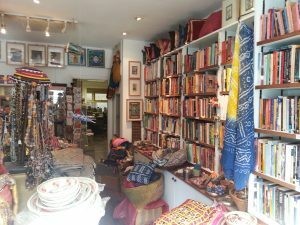 I think the ethos and vision behind Shalimar Books (formerly Soma Books) was always more far reaching than exclusively being an Indian book and craft specialist in London. 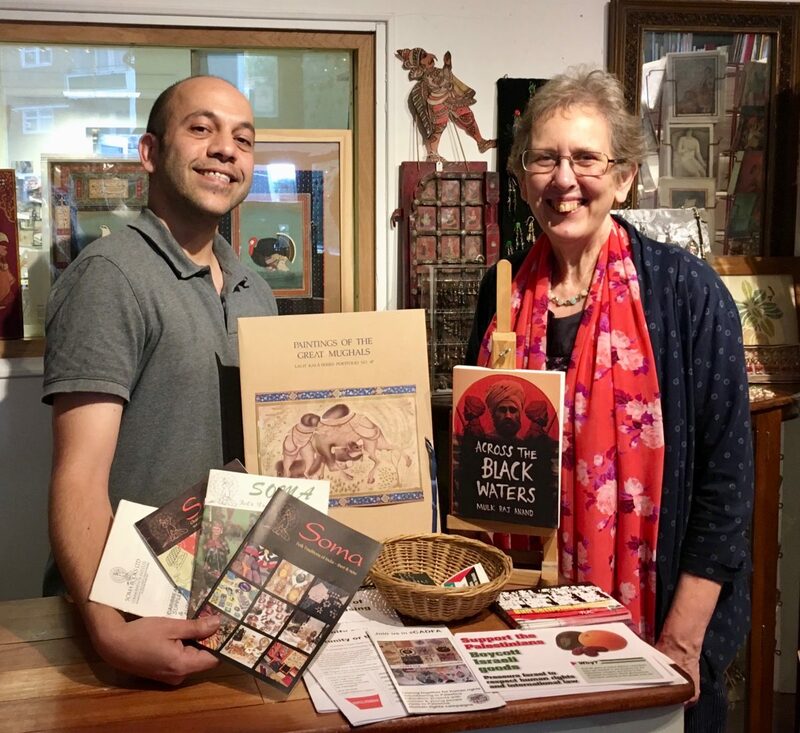 It was Independent Publishing Company (IPCO) that started in the 1940s which published two anti-imperialist magazines – The African and Colonial World and The Indian at Home and Overseas. They were later to be amalgamated into one magazine called Asia & Africa Review. It also published books, such as Richard Pankhurst’s book on Kenya. It was IPCO, the company which my father Anand Kumria took over from his father, that started importing Indian books and became the first book business to specialise in this area long before anyone else came on the scene. IPCO also started to import Indic language books in the late 60s to cater to the needs of the immigrant community of Indian descent. The other dimension to Soma and later Shalimar’s beginnings which I feel is worth mentioning is that both of my parents have been very politically active throughout their lives and this I feel is reflected in the wide range of areas that are covered by Shalimar today. 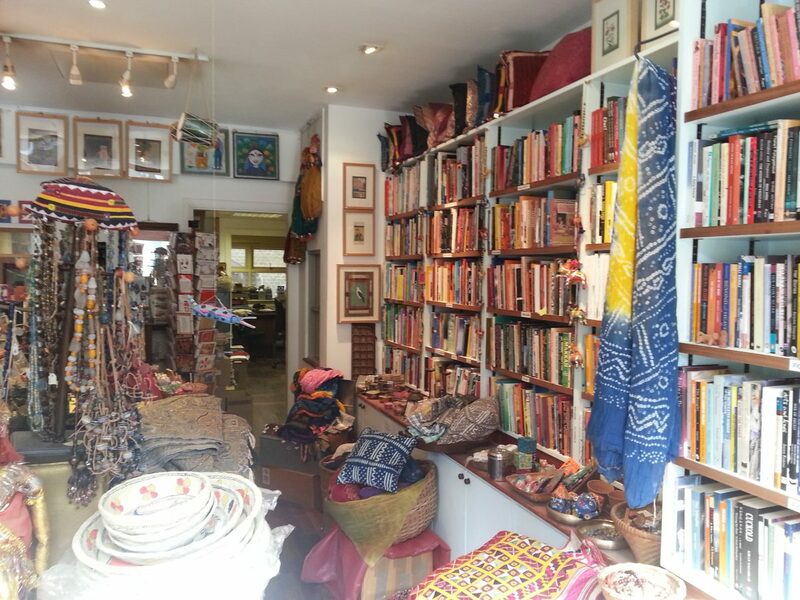 These include history, politics, gender studies, sexuality, yoga and health, religion and philosophy and originally focusing on Africa, Asia and the Caribbean, Soma always maintained a connection to the community, supplying books to schools and libraries across the UK. This expanded to include imported titles from the US to meet the growing demand for books with positive representations of race for young readers. I think people appreciate the complementary nature of having the books sitting alongside handmade craft and art. What makes Soma unique, I believe, is its ability to provide real insight on traditions at a grass roots level. Where do these beautiful things come from? Who made them? What’s the story behind them? In this way, Soma and now Shalimar have never been only a book or gift shop. It’s really an experience in culture and aesthetics and a showroom for Indian art and artefacts in its many, many forms.